British born Nigerian heavyweight boxing star, Anthony Joshua, grew up for some of his early years in Nigeria before returning to the UK. Joshua was born in Watford to a Nigerian mother and a British father of Nigerian and Irish descent. His cousin is fellow unbeaten professional boxer Ben lleyemi. 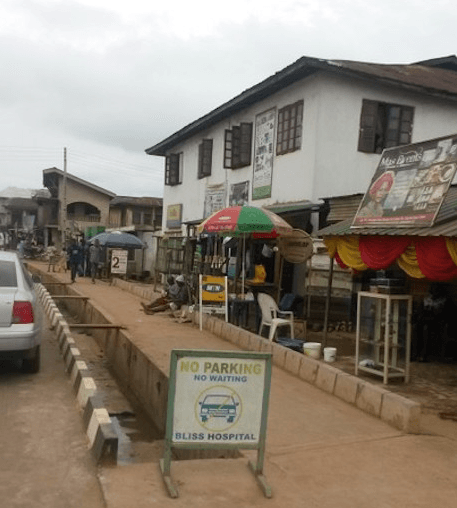 Below are pictures of his family house in Sagamu, located along Akarigbo road, beside Firstbank Ijokun, Sagamu, Ogun State. 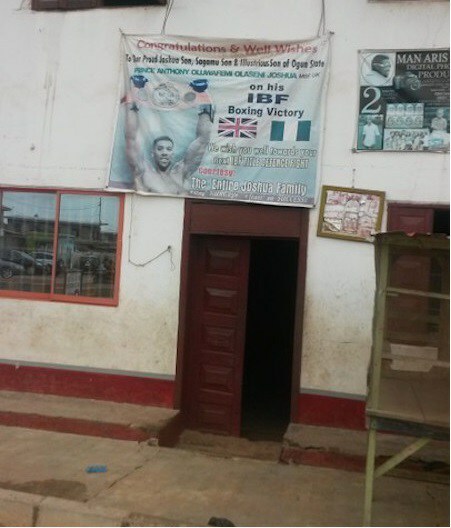 A banner of him being celebrated when he won a fight last year is seen in front of the house. 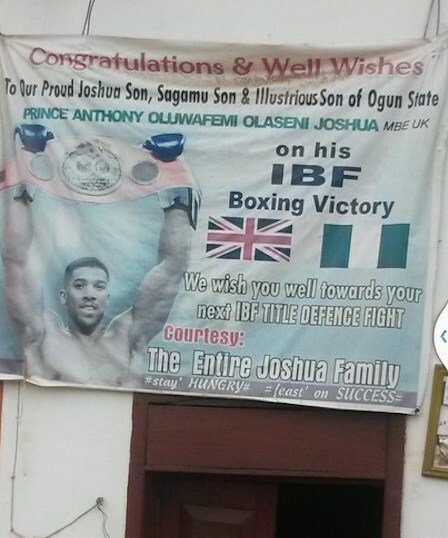 0 Response to "Photos Of Anthony Joshua’s Family House In Sagamu, Ogun State"